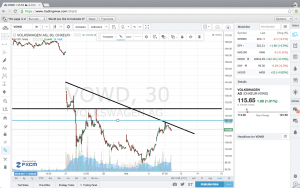 Today on the 9th October 2016 we are going to discuss a little bit about a potential Volkswagen share price downtrend. And how you can make a profit from it. There is a serieus risk that Volkswagen share price downtrend will continue. It may look like that the Volkswagen share price is forming a bottom but we think that this could be a temporary correction in Volkswagen share price downtrend. Last week more bad news came out for Volkswagen came out and also this weekend. Volkswagen admitted last Tuesday 2th of November that they have also cheated on gasoline cars. And this weekend one of Volkswagen head designer Walter Maria De Silva quit his job and left Volkswagen company. Too make things worser one of Volkswagen shareholder Nordea Asset Management is looking to sue Volkswagen for the losses according to the Financial times. Volkswagen share price downtrend for a few days or? To anticipate a possible price move in Volkswagen share price downtrend, you need to look at the three months chart. Sept, Oct. and Nov. to check how the price movement of Volkswagen is developing. 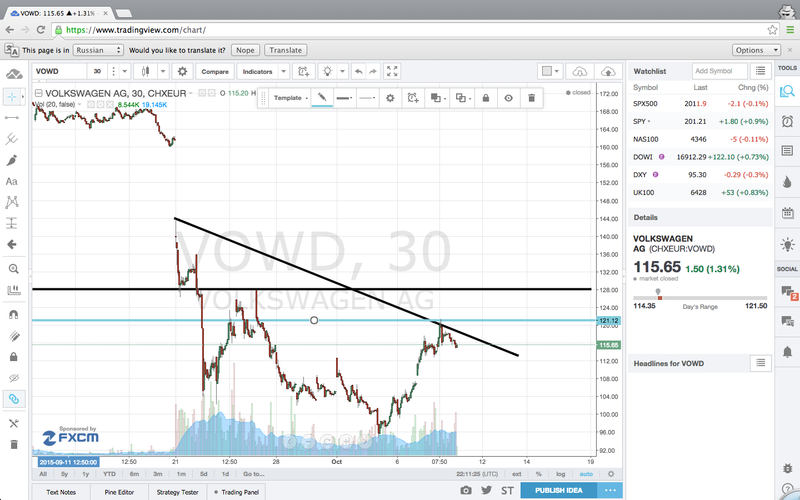 When you look a the chart you will see clearly that stock price of Volkswagen is in a downtrend. The higher highs is getting smaller. However there seems a support level at the price level of €115,20. It has already bounce three times on that support level. In general if the support level is being test too often then that support level will break. In this case it means that if the support price level of Volkswagen is being testen often eventually there is a high chance that the stock price value of Volkswagen will go below €115,20 per share. What is best way to make a profit short term? The best way to make a good profit short term is by going short on Volkswagen Cfd shares at broker who provides trading CFDs with leverage. 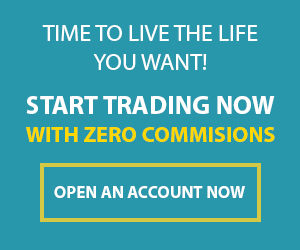 Why shorting Volkswagen CFDs shares with leverage? The reason for that is with leverage you can gain more profit. If you want to know on how to calculate your CFD trading cost and profit then read this tutorial: Calculate CFD cost in simple steps. What to do if you are owning Volkswagen shares? If you are in Volkswagen shares for long term like 2-3 years then I would say keep those shares and buy put options to protect your portfolio. See the put options cost as a premie that you pay for insurance. I think Volkswagen will survive this crisis. If we look at the history of car companies, Volkswagen is not the only company who had a huge penalty. General Motors and Toyota for example both companies had experience mayor penalties and they have survived. Or BP for example with their oil disaster in the US. However it may take a while before they recover in share price. And you don’t know how low the value of Volkswagen share price will go before the crisis of Volkswagen is solved. So again if you are holding Volkswagen shares for the longterm, buy put options to protect at least the value of your investment.